It was quite a long time since I read a really good novel. The last one that was really memorable to me was People of the Book by Geraldine Brooks. I took me four years to come across the next one, which happens to be also about books, that give me the exact same feeling as I read it, though People of the Book still come first for me. The Storied Life of A.J. 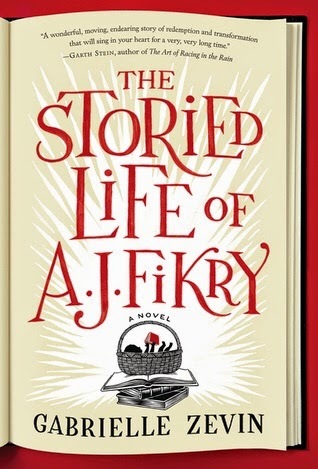 Fikry is a very delightful story about the life of a bookstore owner. It all began when a valuable collector's volume of his got stolen. But this was when he started to collect back his life. Even though the story span a period of almost twenty years, it does not feel draggy or long. I tend to read over the boring bits of most books or get lost midway and have to track back, but I did no such thing for this one. It was captivating from beginning to end.